You are not alone on your journey to enter the doughnut business. What, then can I do for you and what will you receive? The advanced donut training business course consists of all my doughnut training DVDS, videos and business books and 3 hours personal one-on-one consultation with me. Together we will establish what "part" of the doughnut business you will enter and be successful in. This will be based on, regional location, prospective business location, foot traffic, vehicular traffic and competition. In addition, collectively determine what the community wants and needs are to separate your business, from the rest. Yes that's correct! Derived from the above, we determine what part of the doughnut business works best for you! We will disuse your plan of action and viable options, hone in, and then execute a plan of action to enter the doughnut business. All of which will be based on expanding and monetizing the doughnut business. Two-disc, four-hour, step-by-step doughnut making training course. Delivered to your door step within 5-7 business days. To include instant access via streaming video. Companion bounded book Doughnut Business Formula. This 242-page book is a step-by-step guide to starting your own profitable business selling doughnuts! Delivered to your door step within 5-7 business days. To include instant access via streaming video. 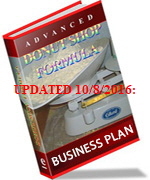 IMPORTANT UPDATE 10/8/16: The donut shop business plan formula has now been updated with 2015 - 2020 Donut Business Industrial report & Competition Analysis. Also revised proformas to include cost breakdown of yeast doughnuts. This is no boiler plate "theory based" business plan, it is a 25 page blue print to achieve financing! But that's not all, not even close! This is the only doughnut shop business plan on the internet that addresses "both" the doughnut and coffee industry with analysis and statistics to support a complete doughnut shop business plan. Why settle for less? With over 2 decades in the doughnut business I have gained an incredible amount of knowledge about the espresso business. 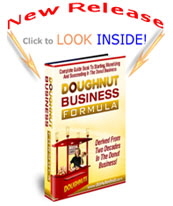 This eBook directly complements the doughnut business course. 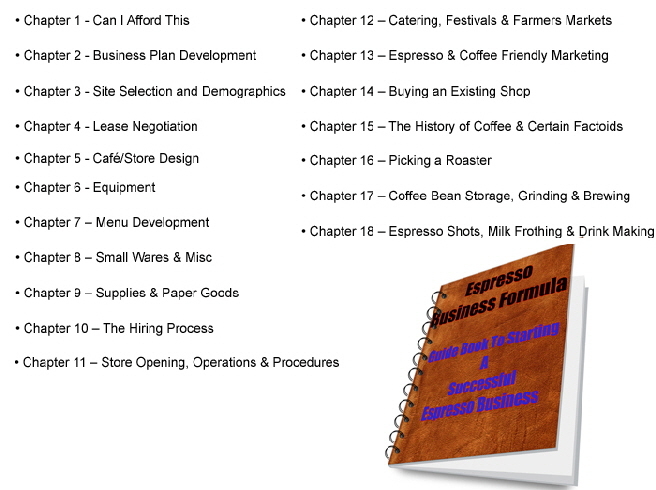 The table of chapters listed below will express the importance of the espresso business formula eBook. Authentic French Doughnut-line Training utilizing the copper kettle complemented with a 75+ year old recipe. 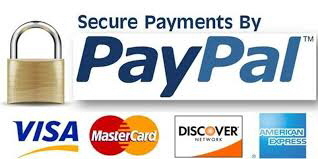 Instant access via streaming video. Learn more..
To complement the advanced doughnut training course. 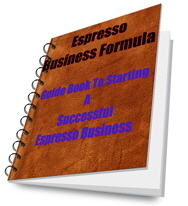 You also will receive my new 38 page Ebook Doughnut business start-up formula. A complete start-up business guide book with topics ranging from lease negotiation, financing to business plan development and more. This book alone is priceless!!! Every few years I go to the Oregon state fair and interview highly successful food concession vender's. This summer I interviewed over 100+ vender's and asked them ("If You Were To Give Me 1 Peace Of Advice To Start A Successful Mobile Food Business, What Would It Be")? The advice I received is priceless and literally a blue print for success!!! 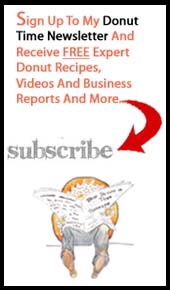 Order my complete donut business library above and receive my MASTER CAKE DONUT RECIPE I use exclusively for on-site donut trainings... When I open new donut businesses this is the cake donut recipe that travels with me!!!!! You are not alone on your journey to enter the donut business. Do not delay and secure your 1-on-1, consultation package, today! Consider upgrading your order to include 3 hours personal consultation with me & receive my entire donut business library.